Fun With Frisian: MOANNEFERTSJUSTERING - "lunar eclipse"
The century's longest lunar eclipse is today. 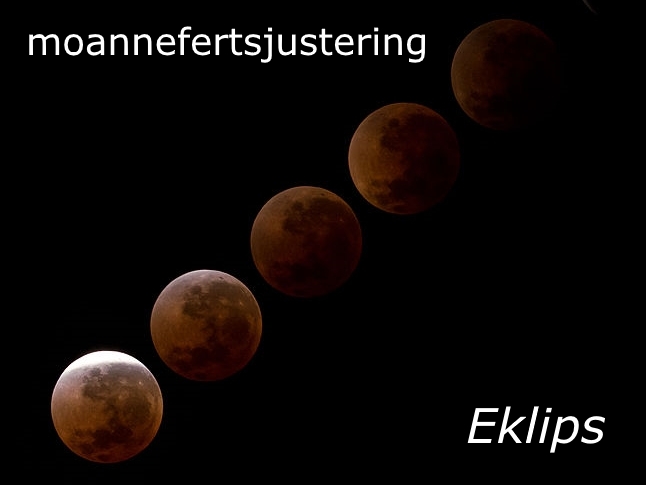 The Frisian word for a lunar eclipse is "moannefertsjustering," literally, "moon darkening." The word TSJUSTER means "darkness"... say it with a vowel somewhat like the long "oo" in "moon," but with a narrower sound. The entire word is very roughly pronounced: MAW-nuh-fur-TCHOOS-tuhr-ing. Lunar eclipse - Photograph from NASA (public domain).